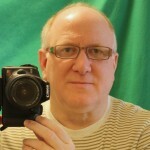 A caster . . .
is a wheel in a housing or swivel that attaches to furniture or large objects to make the object mobile. Casters were patented by David A. Fisher in 1876. Fisher also patented the joiner clamp. The frame or housing of the caster is called a caster frame and can either swivel or remain rigid. Frames that swivel are called swivel casters and are capable of rotating 360 degrees. This allows objects to quickly move in any direction. A rigid caster only moves in a straight line meaning it will only travel forward or backward. Casters are part of our everyday lives and it is hard to imagine a day without using this handy and functional item. If you went to a retail store or grocery store today you probably used a rolling cart of buggy with casters. At work you may have had casters on office chairs, file cabinets, and other furniture. Movers and warehouse workers use casters on dollies for moving and transporting goods. Casters are on almost everything in a hospital from beds and gurneys to medical equipment. At home, casters are found on kitchen islands and butcher blocks, coffee tables, beds, craft and sewing cabinets, chest-of-drawers, desks, desk chairs, the piano, tool boxes, and much more. 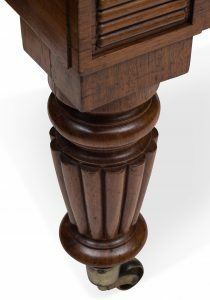 Post or Stem: t he top of the caster has a post or stem that fits in the bottom of the furniture leg or corner using a caster sleeve. Post style casters are usually the more decorative of the two kinds of casters with either a metallic ball or a covered cylindrical rolling element. Screw-on: the caster is screwed onto the furniture bottom by means of a top threaded screw. Cup mount: this caster features a round or square cup that fits over the leg of the furniture. These are usually decorative and are not meant for continuous rolling or moving. The cups come in a number of sizes so it is important to measure the furniture leg carefully to get the proper fit. Other: Medical and industrial style casters have plates that mount to the object being moved with four screws and often have a brake to lock the wheel in place. Casters are also classified by the amount of weight supported. Light duty casters can support up to 140 pounds. Medium duty support between 140 and 325 pounds. Heavy duty casters are used in trucking and industrial applications. Super or extra heavy duty casters can support thousands of pounds. 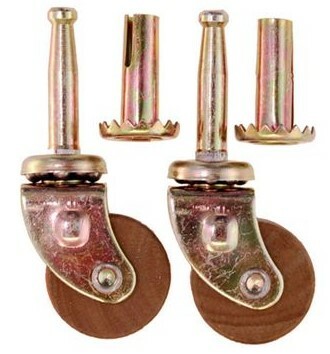 Casters also are classified by wheel style. 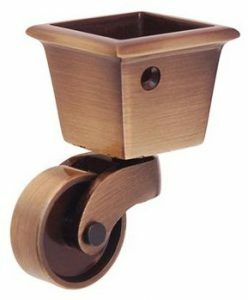 Large casters usually have rubber or fiberglass wheel, while light duty and decorative casters have wheels made of brass, wood, porcelain, plastic, or rubber. Many wheels also have ball bearing for smooth rolling. Van Dyke’s Restorers offers a nice selection of light duty casters for new or antique furniture applications. Choose from cup, stem and screw style in several metal finishes. For a Victorian or Eastlake look, choose one of the stylish Claw and Ball Foot casters. Van Dyke’s also sells the hard-to-find piano casters and porcelain wheel casters.